One evening, the Girl and I walked over to the local park. I noticed a rosebush with some pretty yellow blooms. This reminds me of Texas. The Girl and I have a favorite park within walking distance of the Plaza Hotel. I love to take her over there in the late afternoon or early evening for a last-of-the-day run. Sometimes she’ll play with me. Sometimes she just wants to hunt the battalion of ground squirrels making burrows under the buildings. 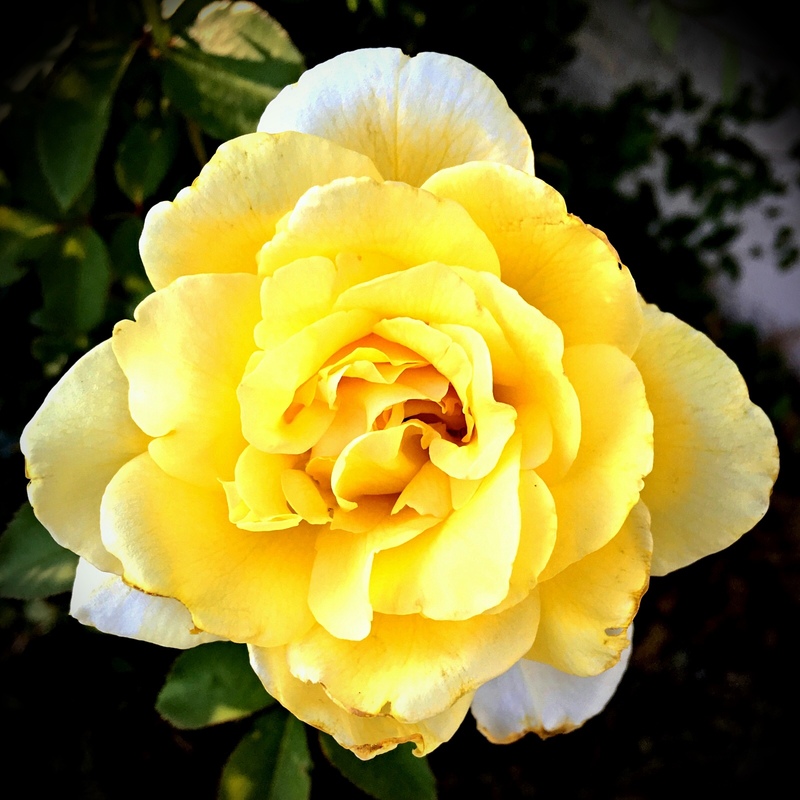 One evening, I noticed a rosebush with these beautiful yellow blooms. I had to make a capture and they reminded me of Texas.